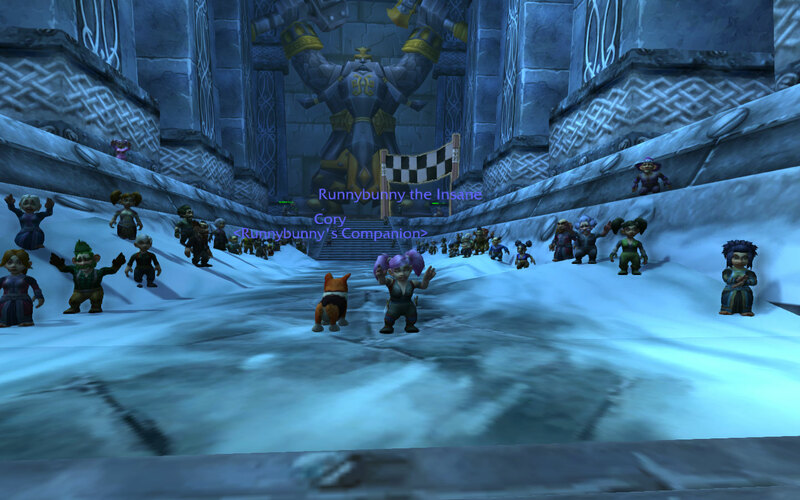 Eye of the Tiger - Draenor • View topic - My Running of the Gnomes experience! 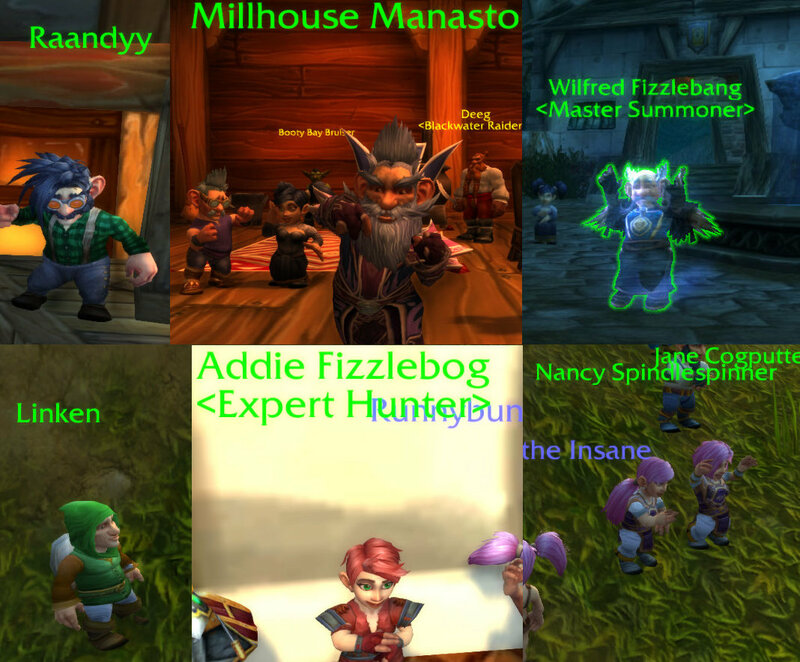 < General ~ My Running of the Gnomes experience! 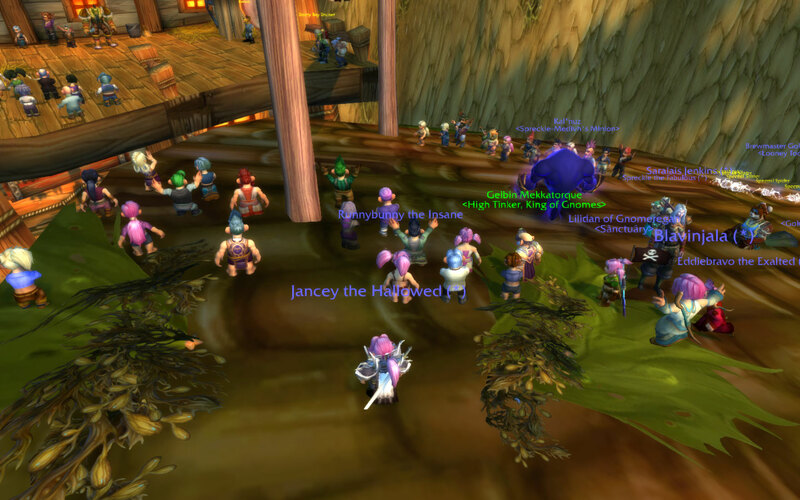 An old WOW tradition was when your server was down, en masse everyone start a lvl 1 gnome and run together to booty bay as a time burning challenge. Blizz put this in as a yearly micro-holiday and added some hoopla to it. When I say hoopla, I mean 999,999,999 gnome NPCs along the route. Most of my deaths happened in STV, even after picking up some helpful guardian angels from both factions. 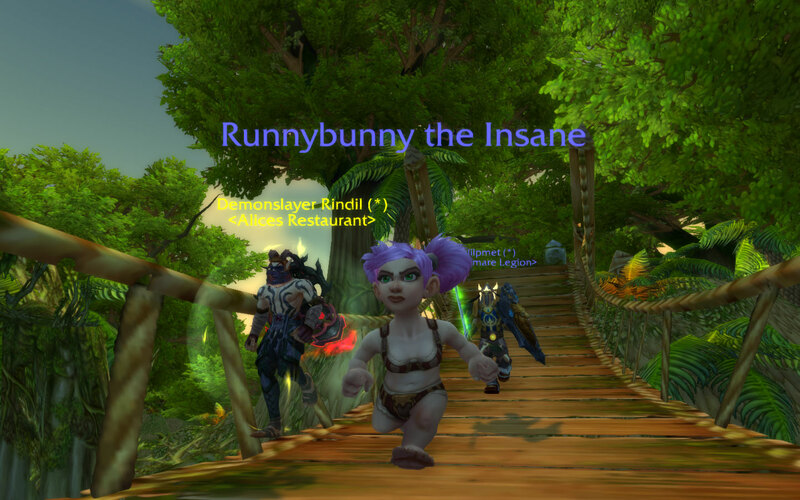 Every gnome ever in the game seemed to be there, including Ranndy, the original creator of the run. And of course at the end to congratulate you, Mekkatorque, the king of the Gnomes. 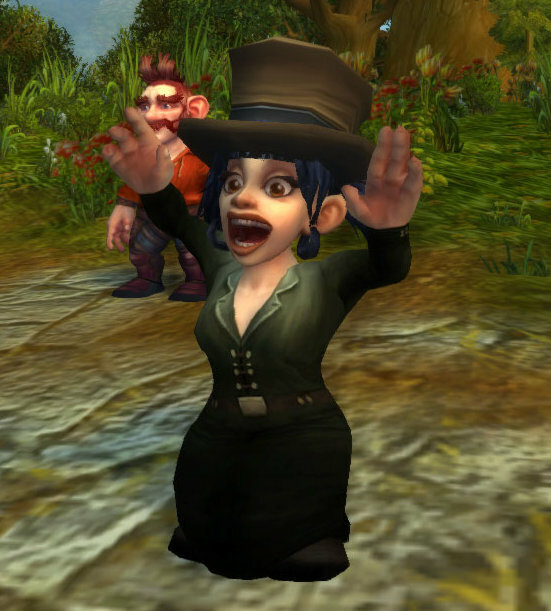 Does the tophat mean she's a Worgen gnome? 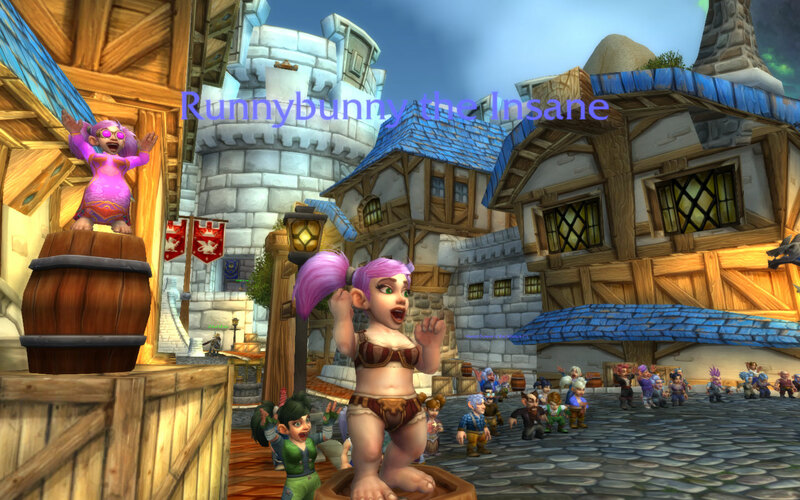 Gnomes and their shenanigans… Kidding aside, I love this event. Can't believe how popular it's gotten over the years.